Quote Form ⋆ Shelving Systems by E-Z Shelving Systems, Inc. 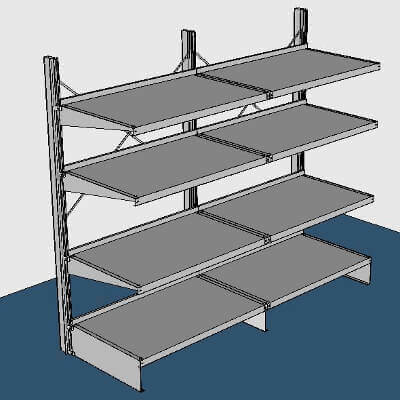 Describe the shelving system you need. We'll provide a quote with full pricing (including a shipping estimate), a parts list, and shop drawings. If you have any questions, just call us at (800) 353-1331. 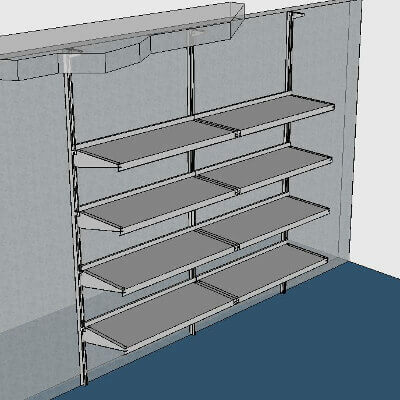 Our shelving uprights can be mounted on walls, or on floors, including back-to-back configurations. Alert us to the height of any floor or ceiling molding. Photos really help. 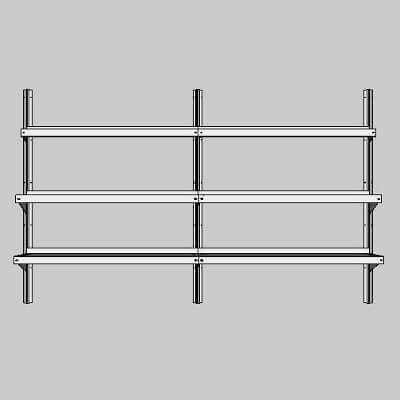 In the field below upload photographs of your walls, as well as any structural elements that could constrict the dimensions of your shelving system. When in doubt, call us. We're pros! Select your shelving style. Check all that apply. 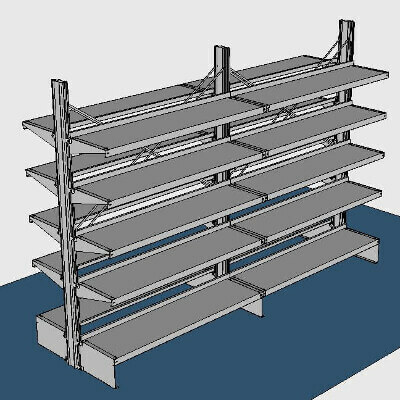 Tell us the Length and Depth of each shelving tier in RUN 1. Use the "+" button to add shelving tiers as needed. Tiers can run continuously wall to wall, or stop short of obstructions - any practical length is possible. Wall-mounted shelves can pass over conduit that juts less than 1 1/2" from the wall. 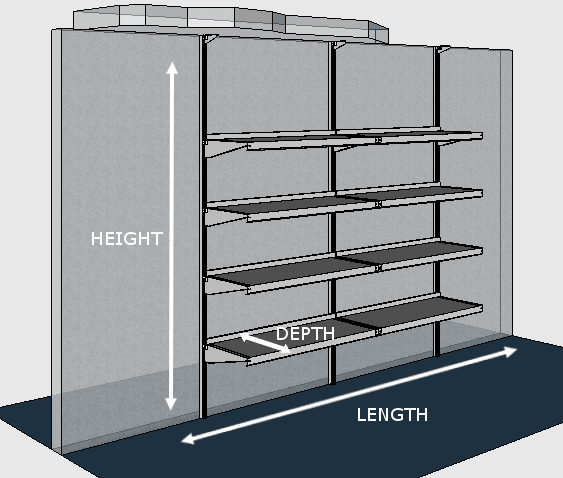 Indicate the height of this shelving run, which determines the size of your shelving uprights. Hit the "+" button to add shelving tiers. Tiers can run continuously wall to wall, or stop short of obstructions - any practical length is possible. Consult this page for shelf depths. Wall-mounted shelves can pass over conduit that juts less than 1 1/4" from the wall. Describe wall construction, or other important details in connection with this project. Need some sketch paper for a drawing? Download it here. Upload pertinent project documents, including Room Measurements, Drawings, Elevations, Plans or Specs (generally Division 10). If file upload fails you can email to quotes@e-zshelving.com.